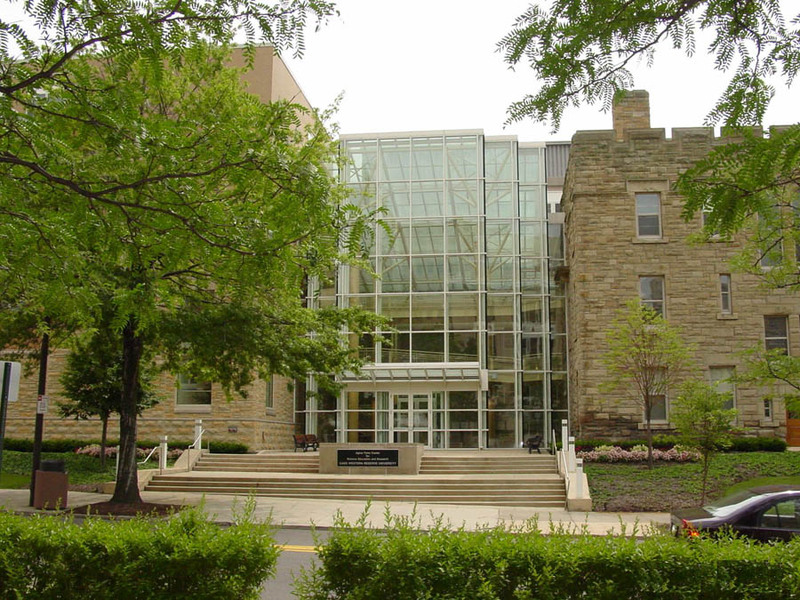 The Department of Chemistry administrative offices are located in Clapp Hall, room 212. If you’re familiar with campus, the easiest way to find it is to take the Hovorka Atrium elevator to the second floor of Clapp. Exit the elevator to the right. The door to room 212 is at the end of the corridor. The main entrance to the Pytte Science Center is through Hovorka Atrium. Clapp Hall is to the left. This view is from across Adelbert Road. The map below is based on the one at the Visiting Case page. Note that it has been rotated such that Adelbert Road is horizontal. 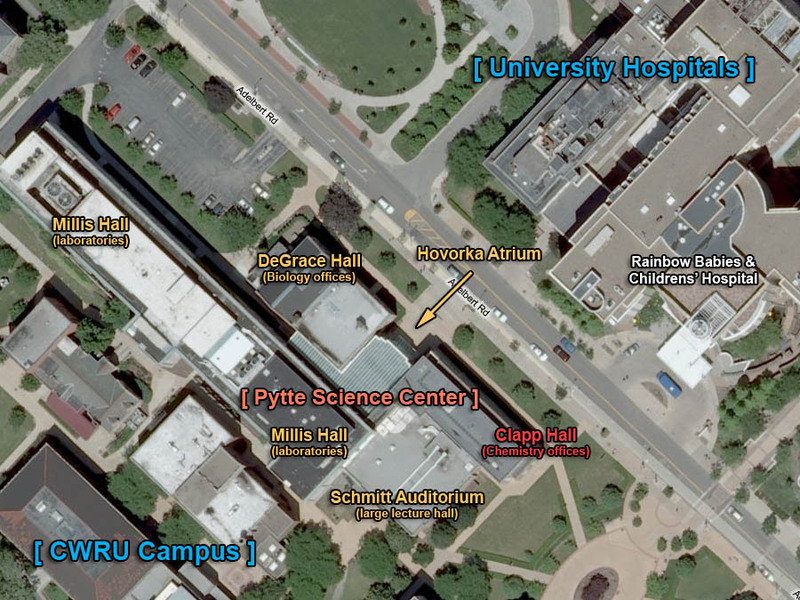 This map is simplified and omits Hovorka Atrium. Also note the location of the visitor parking garages. Below is a sattelite view, based on Microsoft’s Bing Maps at maps.bing.com. For the interactive version (with fewer labels), click here. Find any building or parking lot on the interactive Campus Maps page. For more information on driving directions, parking, and accommodations visit the university’s Visit CWRU page. For broader help and directory assistance, please call the university information hotline at 216.368.2000.